New York City’s technologists, hackers, thinkers and creators have emerged as the most exciting innovators in the world. 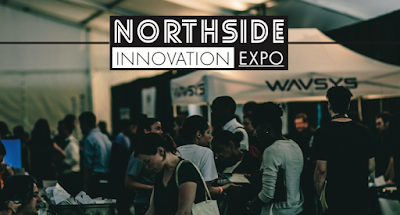 The Northside Innovation Expo is the annual event that showcases the best of this community as it continues to grow and revolutionize society. Housed in an epic 50,000-square-foot tent in Brooklyn’s McCarren Park, the expo is part of the Northside Festival — a week-long discovery festival for innovation, music, film and art with over 100,000 attendees — and runs alongside the Northside Innovation Conference, featuring panel discussions, workshops, hackathons and VIP events led by industry influencers, tech gurus and startup superstars. The Jobs Fair at the Northside Innovation Expo is Brooklyn’s premiere jobs fair for tech, innovation and startup job seekers! Meet face to face with top startups and industry leaders from around the country and get hired!